Your source for industrial metal fabrication and production welding. Haulette Manufacturing Inc. specializes in the design, and production building of returnable racks and containers for a variety of industries. Originally founded in 1956 as a trailer and hitch manufacturer, Haulette has now shifted its focus on serving its customers with custom built, high quality products, unsurpassed customer service, and on-time deliveries. Owners Steve Braun, Patrick Nieberding, and Eric Nieberding bring nearly a century of experience in the metal fabrication industry. Founded in 1956 as Schuck Manufacturing Inc., the company produced trailer hitches and served the Celina area with metal fabrication services. 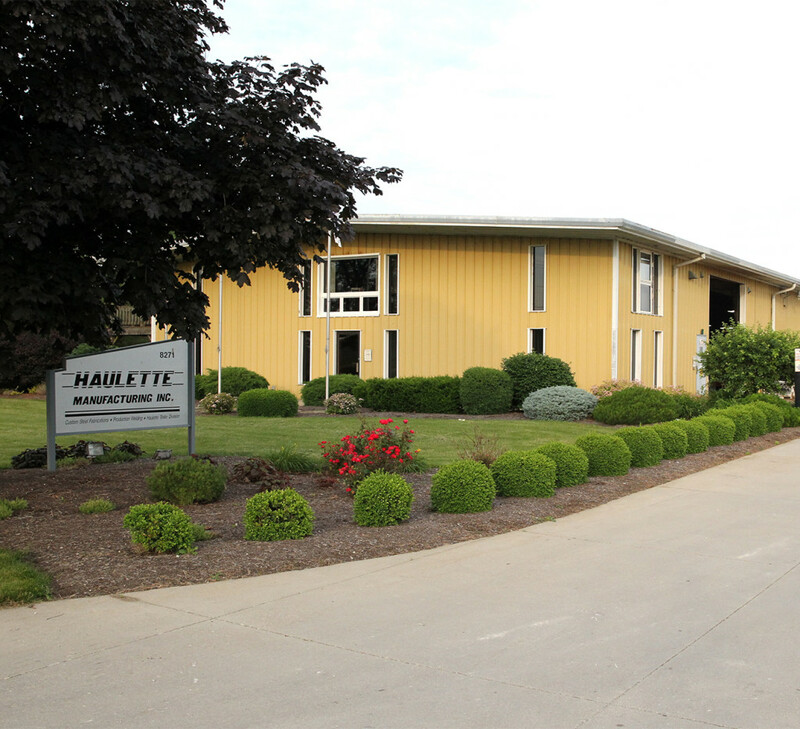 In 1990, the company acquired the Haulette trailer division, and changed the name to Haulette Manufacturing Inc. in 1993. The company received its ISO 9001:1994 certification in March 2000, achieved Ford Q1 certification in December 2000, and has most recently achieved its ISO 9001:2015 certification in August 2017. Located just 60 miles northwest of Dayton Ohio, Haulette’s 45,000 square foot facility houses over 15 production weld stations, 2 spray booths, and all of the support equipment required to complete a project from start to finish. Our primary customer base is within the automotive industry, and has included customers such as Honda, GM, Ford, and Toyota. Our services have also been applied to large truck manufacturers such as International and Daimler Trucks. Outside of the automotive industry, we also build products for the Department of Defense, Electric Motor manufacturers, steel service manufacturers, and home appliance manufacturers such as Whirlpool.